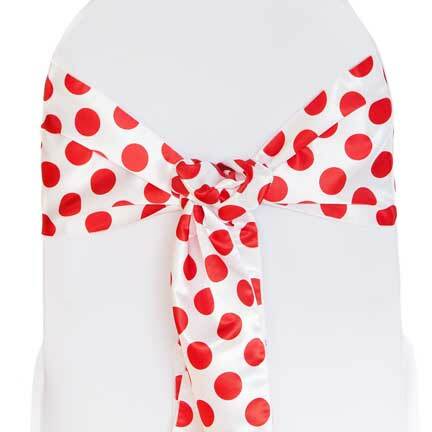 This sash is a brushd satin finish with medium red dots. Measures 8" x 90". Adding a sash is a great way to add color and flair to your chair covers. This sash is shown over a White Poly Chair Cover.